TJ has been a great asset in expanding my exposure in the Real Estate industry. He developed a fantastic website for me and monitors/updates my website, Facebook and Twitter accounts whenever needed. Thanks TJ! You are the techy part that I wasn't! We here at Gen-Y Hitch have been with TJ21 Media for almost two years now. TJ and the rest of his staff have done a great job designing and maintaining our website as well as brochures, business cards and banners. They are designing experts and have definitely been a big part of our success. Thank you to everyone at TJ21! TJ21 Media Group helped ABG Dental by creating a highly visited website, which is key for our dental business. I have used TJ for years with other companies as well; He always has great ideas and fast service. Whether its website design, video production, marketing strategies or just someone to bounce ideas off of, TJ and his team are always there for us. TJ Jorgensen and his team at TJ21 Media Group have taken my entertainment company to the next level. They have helped my business grow for the past five years and we continue to collaborate and work together. TJ is creative, professional, and a joy to work with. I credit TJ21 with my most recent acting success including a role on the Emmy Award winning TV series "Homeland" as well as a movie for NBC called "Game Time Tackling The Past". I love working with TJ21 Media Group because they pour their hearts into my projects, along with a whole lot of energy and time! That care and attention helped me get up and run to finish my side of the work. Clear communication, quick action, quality work - it all went together and came out an excellent product! TJ21 Media Group has been managing the media needs for Indiana National Softball Association for two years and I can't speak higher of the professionalism TJ and all his staff have. Affordable, reliable and efficient from startup creation all the way to updating existing media. TJ21 is always timely in returning calls and completing my needs. TJ21 is at the top of their industry in every aspect and will be the only marketing team I'll hire to handle my business needs! 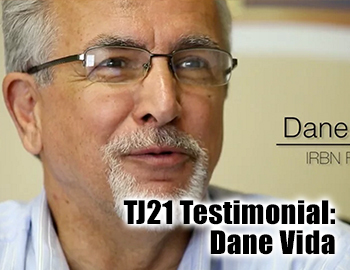 I had the pleasure of working with Tj 21 Media Group when a former client needed a logo created and a testimonials video done for his startup. TJ rolled with a number of bumps along the way and delivered despite issues on our end. TJ and his staff not only developed a killer logo, but they fulfilled their commitments on filming day, and did so with deference to the businesses we were inconveniencing. They were exceedingly professional and fast. The video was amazing and over-delivered in all the areas I'd hoped for. 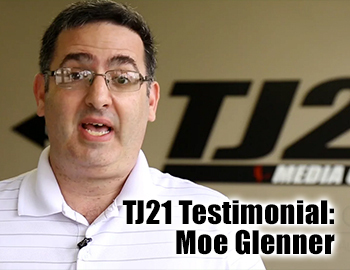 We hired TJ21 Media Group to shoot a video project for us in the fall of 2014. 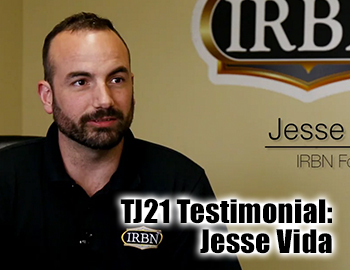 All of our staff here was impressed with not only the quality of the final video, but the professionalism of the TJ21 team. My crystal ball sees more projects in the future for sure! 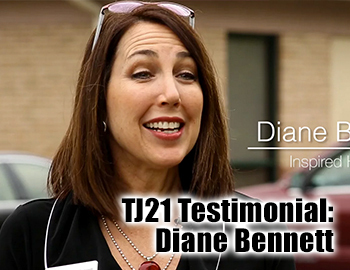 We are so lucky to have found TJ21 Media Group! I've seen our highlight video at least 25 times today and can't stop smiling each time I watch it! I absolutely love it and want to personally thank your team for doing such an amazing job! So glad you were our videographer! We both absolutely love it and can't thank you enough... TJ21 does amazing work!